LEONARD P. ULLMANN, Ph.D.; VIRGINIA CONNER BERKMAN, M.S.W. Extramural care of mental patients has found a steadily growing acceptance in the United States. 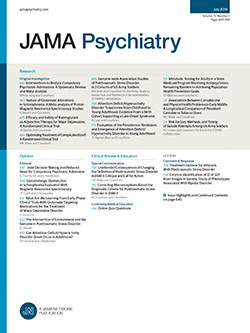 Major discussions of the technique have been offered by Crutcher1 and by Pollock.5,6 Favorable mention of family care has been made by Maletz2 and Muncie,4 and perhaps its strongest endorsement has come from Rosanoff,7 who wrote: “There is no doubt that at least 25 per cent of the population of the average mental hospital can be maintained in extramural care with great advantage to all concerned.” In view of these positive statements, there is, as Stycos9 has noted, surprisingly little systematic knowledge about the processes involved in home care. A study by Molholm and Barton,3 which will be referred to, is a major exception.